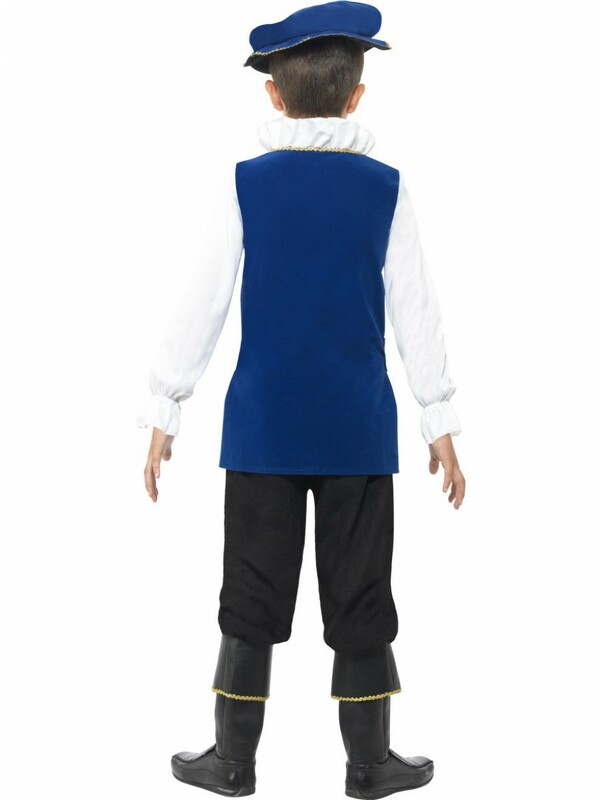 A smart Tudor Boy costume with Top, Trousers with Boot Covers, Belt and Hat. This costume is ideal for any Historical/Medieval themed fancy dress occasion! A fine-detailed Tudor Boy Costume sure to turn heads at any Historical or Medieval fancy dress occasion. This fun costume comes complete with Top, Trousers (with Boot Covers), Belt and Hat. The royal blue top comes in a long style with gold material buttons down the middle and an upright white frilled collar and full length white sleeves. The black trousers have attached leather-look boot covers with a gold embroidered detail around the rim. Also included in this costume is a black belt with gold faux-buckle detailing and a flat blue hat to sit on top of the head. 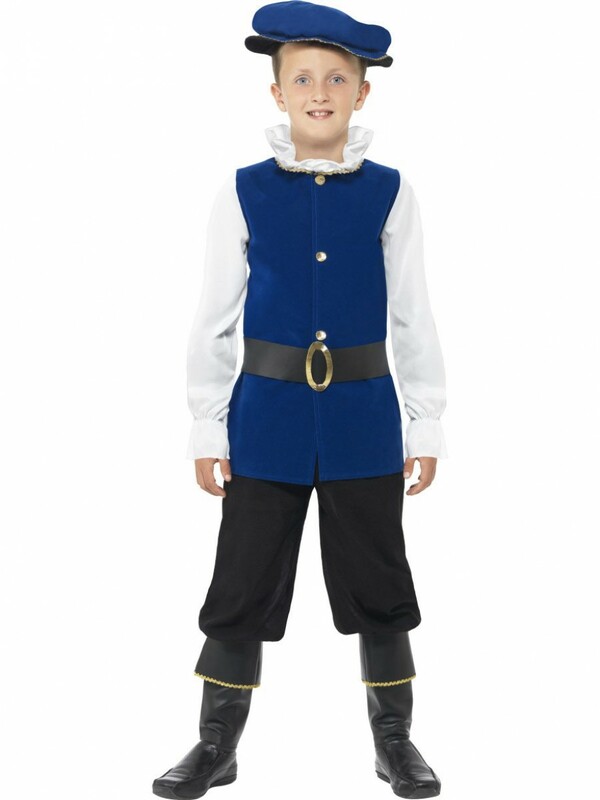 This great Tudor Boy Costume is perfect for Historical/Medieval themed fancy dress, and also brilliant for School plays! 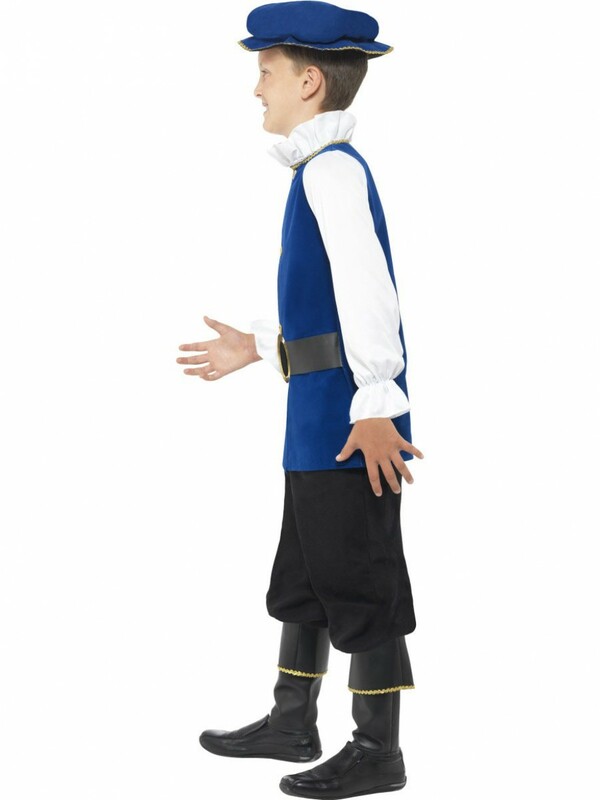 Tudor Boy costume with Top, Trousers with Boot Covers, Belt and Hat.